The crime: Using quick grits. My defense: A friend gave it to me. I ran out of old-fashioned grits and I was really in the mood for some. After all I did promise my people. Yes you did. A good friend drove me to the supermarket. What supermarket? Whole Foods’ idea of grits is…let’s just say I’m not interested in “Italian Grits” aka polenta. That’s what you get for going there! So after I buy the rest of my groceries, we get in the car and I’m moping like a child. 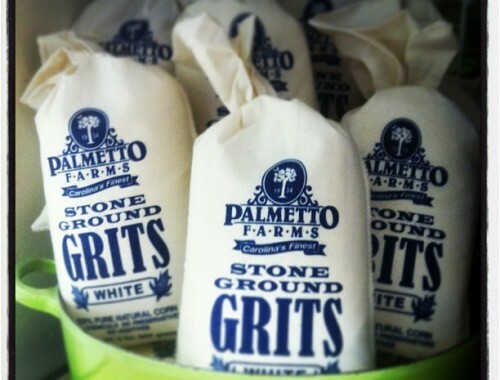 I grab those grits and run! It wasn’t until I get in the house, that I realize they’re quick grits. Womp. Womp. Woooomp. The first clue I should have had that my people wouldn’t be happy with these grits was when my daughter went to reach in the cabinets for her granola, out spilled the container of grits onto the floor; spilling most of the contents. I went ahead and made the grits because hey, I should be grateful for the gift. Dressed it up with butter and cheese. I did my best and I think they appreciate that. Next time I’ll try, what I have been told are amazing grits from Riley/Land Pantry. When we saw this scene for the first time as kids, we said “Grits Dummy!” at school for days upon days after. Boy did we get a good laugh. Laughter covers the pain. THIS is why my people (again ancestors) were not pleased. This entry was tagged grits, grits dummy, instant grits, my cousin vinnie, quick grits, roots. Bookmark the permalink. Lol! Thee are three levels of grits, instant, quick and then twenty minute to prepare grits. I’ve rarely had those. I actually grew up on quick grits, and never bought the long cooking ones. I tried the instant ones once with predictable results. Nice post! Baye, I just automatically associate quick grits and instant grits with one another. Thanks for the info! And thanks for reading! As a Southerner, you’d think I grew up eating grits. I didn’t. In fact, I had my first taste when I was in my late twenties. And I loved them. Stone-ground. The “real thing.” Then I had quick grits. Ummm… no. And so I knew the difference. Most people don’t, it seems. When I added grits to the items I was selling in my store, I had no clue what kind of reaction I would get. So many stories of eating at grandma’s place, etc. From people of various ages. And they sell extremely well. I made them for my parents just this week. They were not excited at all. Now, we’ve had them twice this week. They’re fans. That simple. I need to buy some pronto!